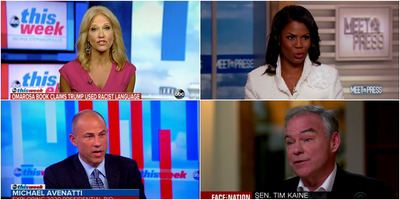 Reports of fiery allegations against President Donald Trump in an upcoming tell-all memoir by former White House adviser Omarosa Manigault Newman, the anniversary of deadly riots in Charlottesville, and the creeping up of the 2020 election set the stage for this week’s high-profile political appearances on cable news stations. Omarosa Manigault Newman released audio of Chief of Staff John Kelly firing her in the Situation Room to prove she has tapes from her time in the White House. Former White House adviser Omarosa Manigault Newman sat for an exclusive interview with Chuck Todd on NBC’s “Meet the Press” after allegations from her new book caught fire this past week. In her tell-all memoir that’s due out this week, Manigault Newman claimed she secretly recorded President Donald Trump and other staff members during her year-long stint in the West Wing. On Sunday morning, she played one of the recordings, in which Chief of Staff John Kelly is heard firing her in the White House Situation Room. 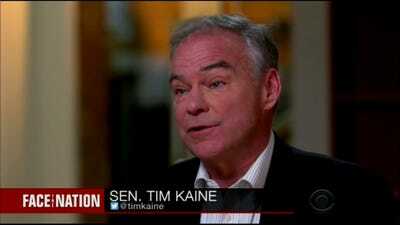 That wasn’t the only reported allegation from the book to circulate this week. Manigault Newman also reportedly labelled Trump a “racist,” “misogynist,” and a “bigot,” and shared accounts of him using a racial slur on the set of “The Apprentice” and eating a piece of paper in the Oval Office. Kellyanne Conway hit back at allegations of racism in the Trump administration. 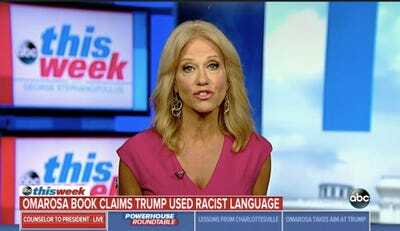 The main allegation Conway was addressing was that Trump used the N-word while on the set of “The Apprentice” when Manigault Newman was a contestant in 2004. Conway rejected the suggestion that the president is racist, and stated the administration greatly values and has made huge gains for minority populations. 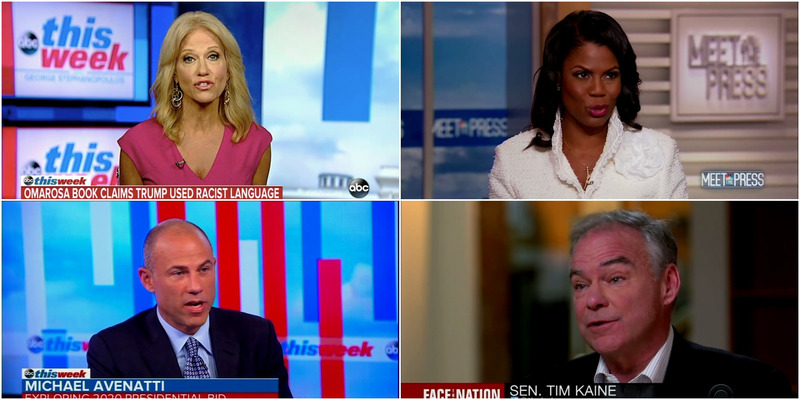 Host Jon Karl then asked Conway for the name of any top African-American staffer since Manigault Newman’s departure last year. “We have Ja’Ron,” Conway said, declining to provide a last name or the name of another staffer. The Trump administration’s response to racial tension has been subject to scrutiny in the midst of the one-year anniversary of a violent clash between white supremacists and counter-protesters in Charlottesville, Virginia, that arose over the removal of a Confederate statue. Virginia Sen. Tim Kaine said that “hate will not define Virginia” in an interview aired on Sunday, the one-year anniversary of the violent clash between white supremacists and counter-protesters in Charlottesville. Other Virginia lawmakers appeared in interviews Sunday to reflect on the anniversary, including former Virginia Governor Terry McAuliffe, who criticised Trump’s response to last year’s violence. 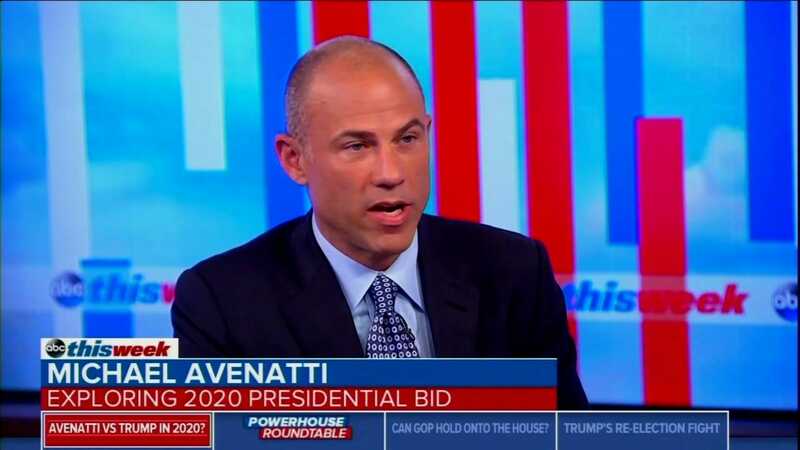 Michael Avenatti says he ‘should be taken seriously’ if he decides to run in 2020. Citing “the truth” as his main policy issue, attorney Michael Avenatti said he is now seriously considering running as a Democratic candidate in the 2020 US presidential election. Avenatti said on ABC’s “This Week” he supports establishing universal Medicare, opposes the abolishment of the Immigration and Customs Enforcement agency, and actually sides with President Donald Trump on the current imbalance in US trade policy.